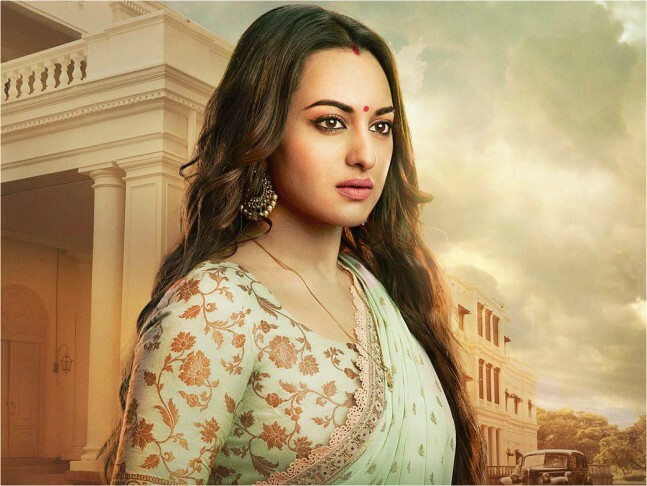 Sonakshi Sinha is glowing despite the hectic promotional schedule for her next week’s release Kalank, a Dharma Productions multi-starrer with Alia Bhatt, Varun Dhawan, Aditya Roy Kapur, Sanjay Dutt and Madhuri Dixit. “It’s fun promoting the film with these guys as my last few films I was promoting solo,” Sonakshi says. She has no qualms about featuring in the ensemble cast of a big-budget film. “If George Clooney had asked Brad Pitt why his role was bigger then the Ocean’s franchise wouldn’t have been made. Imagine Bruce Willis asking Sly Stallone this during The Expendables! It’s best to concentrate on the job that’s given.” The actress sat for a quick chat with PeepingMoon.com. Your look in Kalank is similar to Lootera. Is that image too strong to let go? No, not all. If I’m playing an Indian character and in an Indian look, then I’m the same person, I will look similar! If I put a bindi, have long hair, apply kajal in my eyes, I will look like that only. There is no way you can make me look different unless you dress up me with prosthetics. But it’s okay, it happens to every actor. They are always compared to their previous roles. Especially if it’s a character so loved like Rajjo (Dabangg) or Pakhi (Lootera). Once the audience sees Kalank, they will know the role is very different and it’s something I have not done for a long time and that’s when they will accept it. You didn’t really get our due in Noor, Akira or Ittefaq. Does this make you insecure? Especially with a new generation of actors knocking at the door? I’m sure it happens to everyone. There have been actresses before me also. These things should not bother one. I focus on my work. There hasn’t been a single day in the last many years where I wasn’t working. So in that way, I’m happy with my journey, the kind of films I am doing. Even if they didn’t meet my expectations at the box office, they were experiences that I cherished and learned something from. I have absolutely no regrets. And competition is good, it helps you to do better, work on your skills and makes you a better actor. So, it’s part and parcel of any profession. 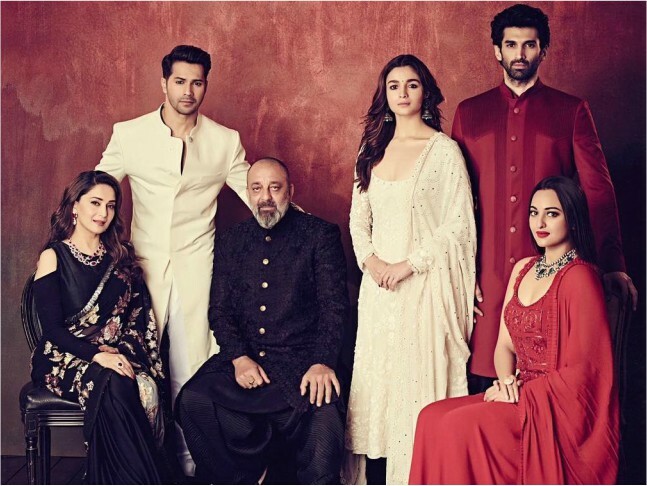 Does the role of Satya in Kalank have any resemblance to you in real life? Not at all. I think Satya is a very rare character, a very rare woman. They don’t make women like that anymore. An epitome of elegance, grace, sacrifice and strength. I’m completely the opposite. I have not lived in Satya’s situations. I can’t imagine being in them. As an actor, it’s my job to portray the role that has been written for me. My director (Abhishek Varman) had a vision for this role. It is one of my most challenging roles and I’m really happy that he thought of me as Satya; it gave me so much to sink my teeth into as an actor. If people thought like that, multi-starrers wouldn’t have been made! When Kalank's script came to me, I was blown away by the world Abhishek was creating. All the characters are well-etched in the ensemble cast, every character has a very strong part to play in taking the story forward. Agar zarurat nahi hote, toh kaise daal dete itne characters? Did you know yours was going to be the first face in Kalank trailer? And also the first dialogue? I didn’t know! Honestly, when I saw the teaser and trailer of Kalank, I was blown away. That dialogue is a very important part of the story. What Satya does, what she is going through, takes the story forward in a way. She is one person who binds the family together. It’s on the verge of falling apart and she will do anything to keep it together or make the necessary sacrifices. Even I was ecstatic when I saw the trailer, I was seeing this world for the first time. How does it feel to be in the third part of Dabangg? Often only male actors achieve this distinction. The day we began Dabangg 3, was an emotional time for me as Rajjo is being carried forward with Chubul Pandey. It feels great. A few days back, we shot the title track and for the first time Rajjo will be seen in the Hud Hud Dabangg song. I’m more than happy! Most of the team is pretty much the same, from AD to DoP. It was like going back to your roots. Everyone is coming out with their love life. But you have always maintained a dignified silence. Will you ever talk about relationships? When I have something to say, I will do so. When I don’t have anything, I can’t unnecessarily say things. Just say, I’m happily married to my work. Your weight loss is phenomenal. What worked for you in this journey? All worked out very organically for me. It took me some time to find my path and how my journey was supposed to be. At a given point, I was doing double shifts, working back to back, I had no time for myself. So that’s when I had put on weight, but the work had never stopped. I have always been accepted for the way I look. My work was my priority, not my weight. But when I started taking things slower, one film at a time, I found a lot of time to work on myself. That’s when I started losing weight and got the time to eat right, go to the gym and get back in shape. This hasn’t been done to prove a point to anyone. I was clear my weight loss has to be done in a healthy way, as there are so many young, impressionable girls who look up to us, I don’t want to give them the wrong idea. I want to tell them that it’s okay to be the way you are. There are a lot of other things to be confident about, rather than about your looks and size. Your parents, Shatrughan, and Poonam Sinha are in active politics. Will you be a star campaigner? No. Even my parents don’t expect that out of me. It’s like I can’t call my dad to promote my film for me. We are in two different professions and we don’t have such expectations from each other. I’m there for moral support behind the scenes.